Abilene Texas Attorney Tara Low is passionate about anything she does. She is a fighter. She can’t stand for people to be wronged. Court appearances, judges, can be a little bit intimidating, but she makes you feel like you are not alone. She is always there with an open door to be able to go in and talk with her. I think the best word to describe Abilene Attorney Tara Low is integrity and without her, I don’t know what I would’ve done. 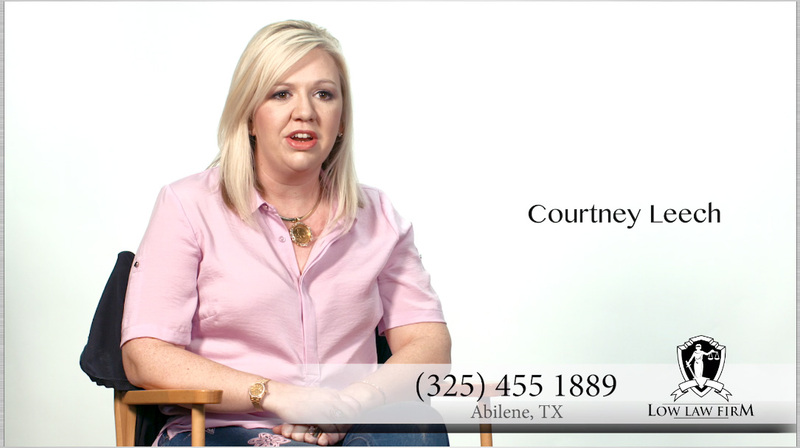 The fact that when you go talk to Abilene Attorney Tara Low, the first consultation is always free. That piece of mind is really going to set you at ease. With the experience she has in handling personal injury claims, Abilene Attorney Tara Gilmore-Low and her team of legal professionals are not afraid to go up against corporate adversaries or large insurance companies in order to ensure that you recover for your injuries or the loss of a loved one. Abilene Texas Attorney Tara Low of the Low Law Firm is dedicated to helping you overcome devastating emotional, physical, and financial losses. Whether your case ends in trial or negotiations, Tara Low an Abilene Texas Attorney at Low Law Firm will help you get the maximum recovery to which you are entitled. In order to best serve our clients, we try to respond to telephone calls and emails 24 hours a day. 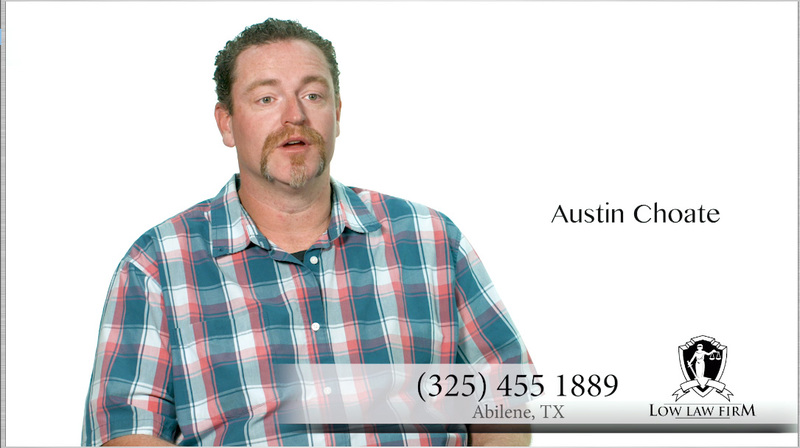 If you or a loved one has suffered an injury, and need an Abilene Texas Attorney, contact our aggressive team of legal professionals today for a free case review. Tara Gilmore-Low has lived in West Texas her entire life and is dedicated to the area. She knows the people and their needs. She has worked on civil, criminal, personal injury and wrongful death cases as both a paralegal and an attorney for over 14 years. She has made Abilene her home. She loves the people of West Texas and looks forward to fighting to protect their rights and ensure they receive justice.